Virtual desktop infrastructure (VDI) environments can make desktop administrators' lives a lot easier. But there are a number of storage challenges in particular to overcome in deploying viable configurations - from performance, administrative and budget points of view. 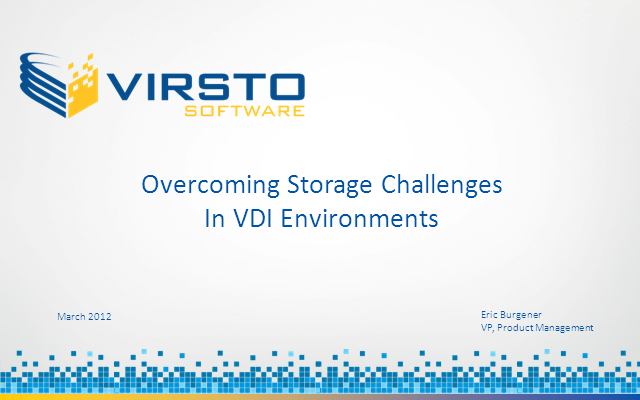 This presentation will review the key storage challenges in VDI environments and their impacts, and review the industry responses, covering array-based, appliance-based, host-based and storage hypervisor-based approaches.